Most second-generation products are souped up versions of the originals, but streaming media pioneer Boxee is taking a different approach. 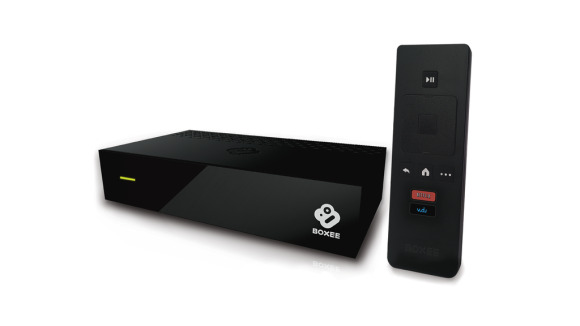 On Tuesday, the company announced the Boxee TV, a $99 set-top box with dual tuners that support a $15-a-month cloud-based DVR service with unlimited storage. The new hardware is much smaller than the Boxee Box, and its remote has only a few basic navigational and content buttons on one side—it lacks the small keyboard that came on the back of the Boxee Box remote. We’ll have to wait for review units to see how the user interface has evolved. Also, you typically can only access DVR content on the set connected to the DVR, or at best another device on your home network. With Boxee TV, you’ll be able to access your recordings via an HTML 5 app on any Internet-connected device with sufficient bandwidth, which Ronen pegs at between 1.5Mbps and 4Mbps. While the service will be able to record high-def content, it won’t support adaptive bit rate at launch, meaning it won’t adjust the media stream based on the bandwidth of the receiving device. So you probably won’t be able to watch content on a 3G smartphone, for example. We’ll have to wait a few weeks to see if the Boxee TV lives up to that promise.